Learn how the Bizioner app works to improve the mobile experience. Check-Ins are a way to keep track of the local businesses you visit and keep your friends updated with your latest comings and goings. You can also choose to share your Bizioner Check-Ins on Facebook (where they will appear as status updates). 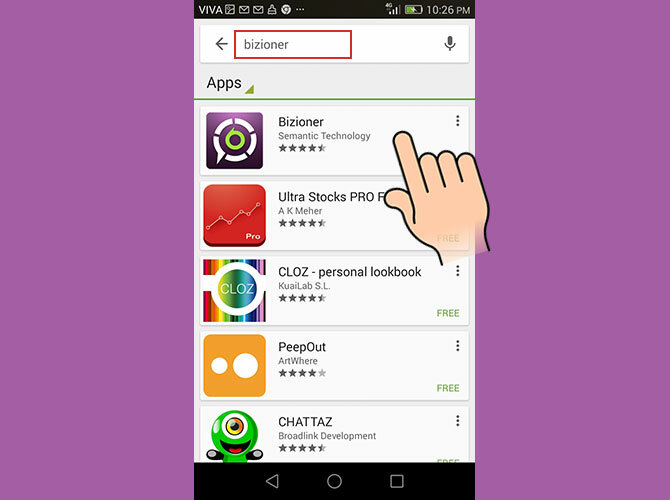 How to Check in with the Bizioner Mobile Application? 1 Download or Update your android Bizioner app on your device so that the updated version is newer than 1.0.8. 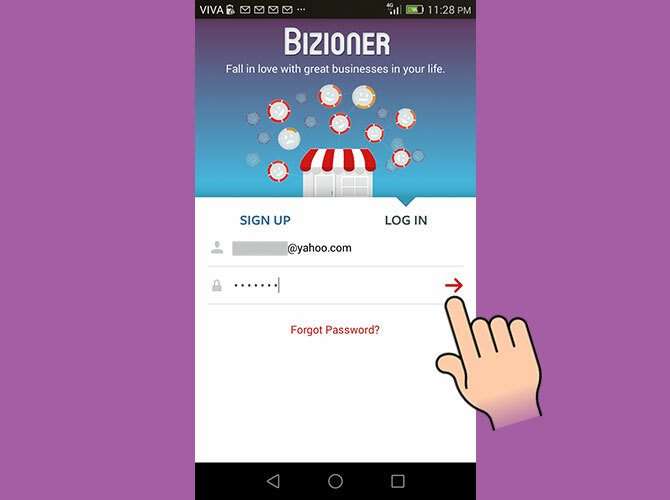 2 Login to Bizioner with your existing credentials or create a new account. 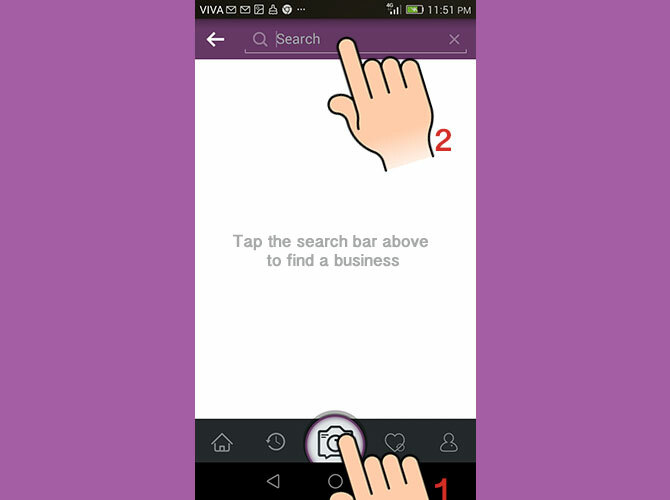 3 Search the database for the business you'd like to check into.